Most people know that Carroll Bros. Contracting will come in, remove the old concrete pool, excavate the area, fill the hole with dirt, grade and seed. However with this pool removal there was also a large concrete retaining wall that can be seen in the picture below. Carroll Bros. removed the pool, retaining wall and did a lot of grading of the land to make it even with the rest of the yard and the surrounding neighbors yards. 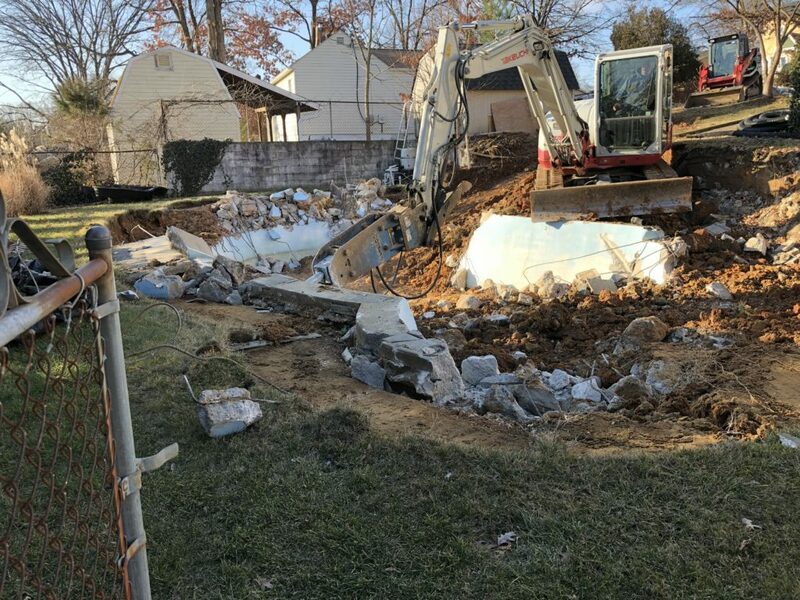 Once we removed the pool and the retaining wall, as you can see in both the before picture and the after picture there was a lot of land to regrade. When we come across a project like this, we want to make sure the area where the pool was is graded perfectly to match it’s surroundings. 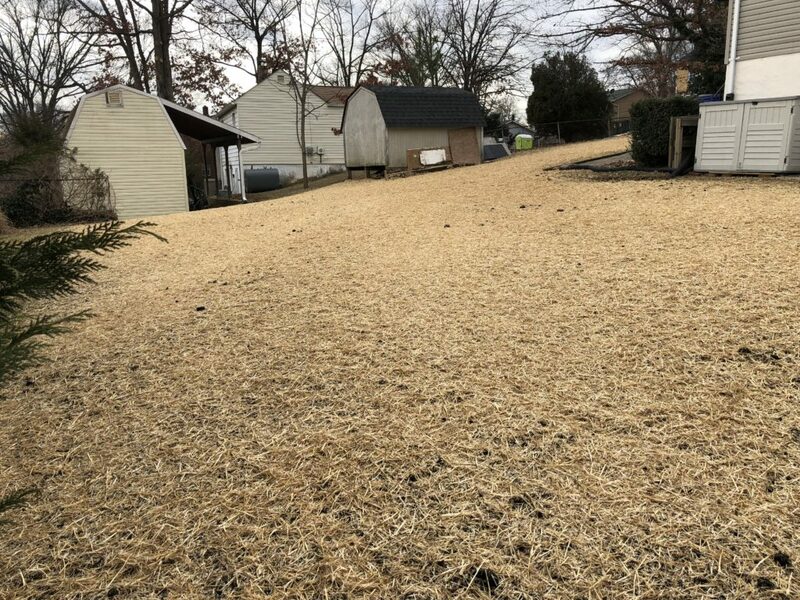 For instance there was a severe slope coming from a neighbors yard on this project and we wanted to make sure the slope was done correctly so when it rains the yard drains correctly. We graded the entire backyard to the correct grade and slope, put down straw, seed and soil and now this customer has a perfectly graded backyard with out a pool that would hurt the property value when it came to reselling his home.